A stylish coffee table is probably the most integral part of your living room. You spend most of your time right here watching some movies, having cup of coffee and attending your guests as well. So the furniture placed here is also frequently used. 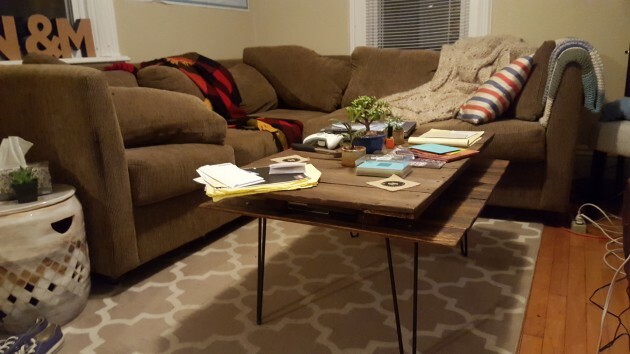 A beautiful coffee table can change the entire look of your living room. So keeping in view this established fact, you repeatedly have to change your coffee table. 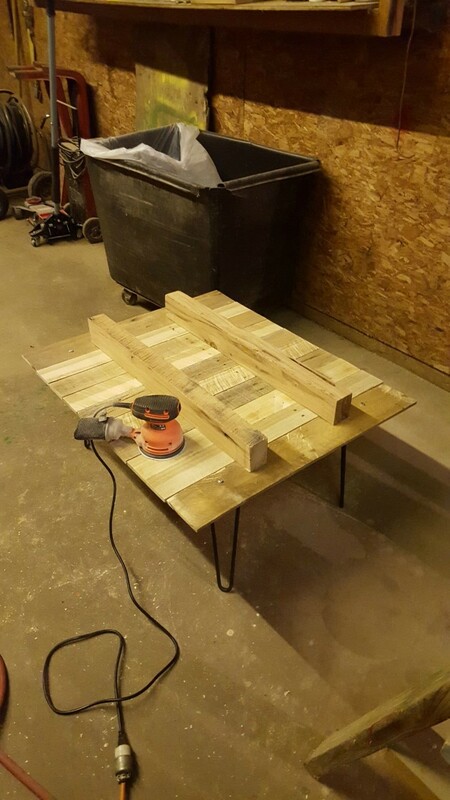 So instead of going for some expensive coffee tables, you must go for some self made coffee tables with the help of discarded pallets. Here is a fine pallet coffee table which is made with some reclaimed metallic four legs to give it an industrial look. While the rest of the structure is made entirely with some old pallets. 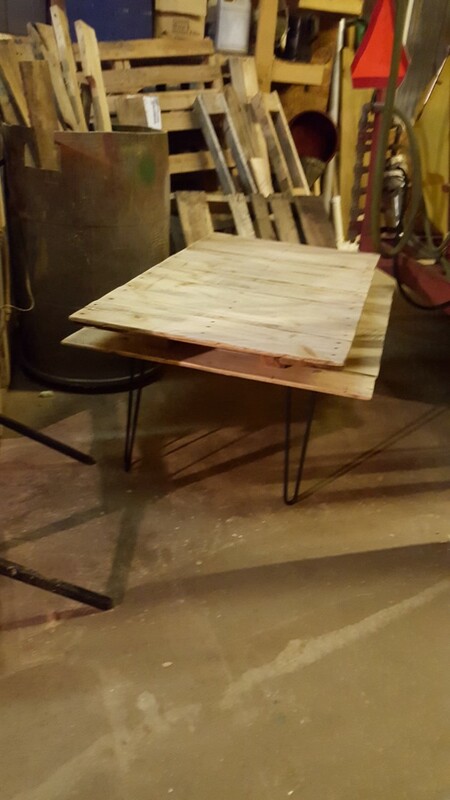 The upper top of table is made with pallets, and two further rectangular wooden planks are added to make its top firm. 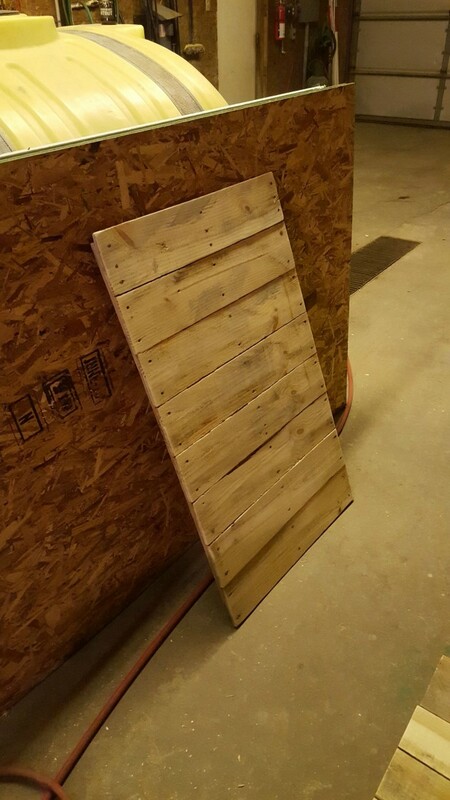 This is basically a two tiered coffee table made with the pallet. So you can see two tiered upper tops with the help of some fine pallets. These both upper tops are joined together with the help of two robust rectangular planks to keep it firm enough. When you are planning to place it in your living room then paint is damn crucial. The diversity of pallet wood makes it feasible for you to cut, mold and paint it according to your choice. 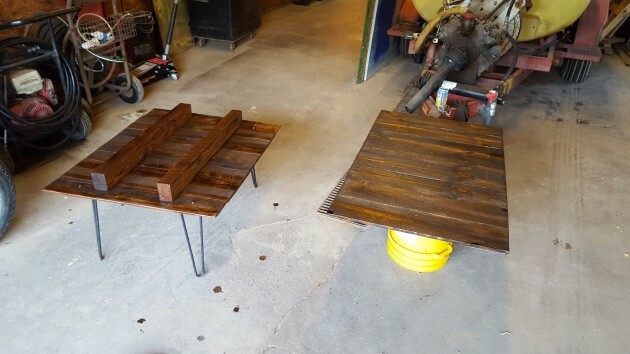 So this pallet wood table is painted accordingly in dark brown color matching to the rest of your furniture. Now it is all set after the final touch to be placed right in the middle of your living room. This multi tiered pallet coffee table is pretty enough to cater your indoor needs like you can place your books on it, a tiny vase or planter, your TV remote and whatever you want.